I am so into this Heart of Darkness shirt. I want to give it to everyone I love. Remember Penguin Classics—from your reading lists in college? They have a little store with all these cute things in it. 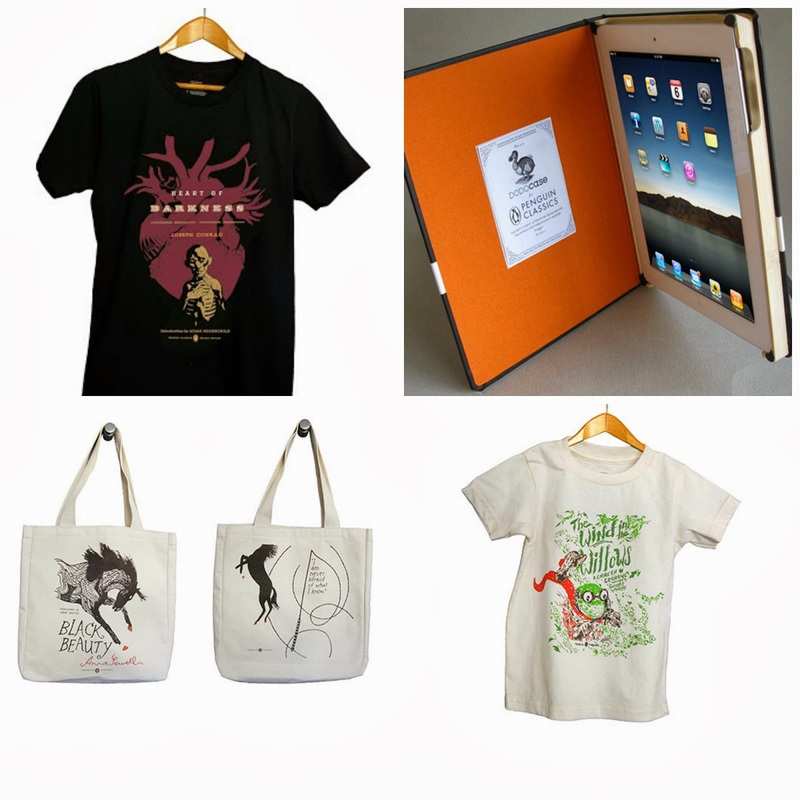 T-shirts, totes, and DODO cases fit for the most primo of nerds. Remember how the Fonz used to describe things as "primo?" This cool stuff features cover art by leading graphic and comic artists and illustrators working today including Chris Ware, Tony Millionaire, Rachell Sumpter, Jillian Tamaki, and Lilli Carré. I know for a fact that my teenage son would love any of the shirts. Most of my friends would like a tote that makes them seem literary. And Christian is gaga for DODO cases—they are handcrafted and wooden and hold your iPad. So, there's your gift guide. Happy shopping. Are you done with your Christmas shopping yet? I've waited longer to finish up my shopping this year than I ever have before. It's a bit nerve-wracking, but intoxicating! What 12th hour request will I fulfill this year? This must be exactly how Santa feels. In fact, I know it is.